This is an update on the 3 houses that are being built in Guildford. As you can see from the images, the structures are now fully erected. 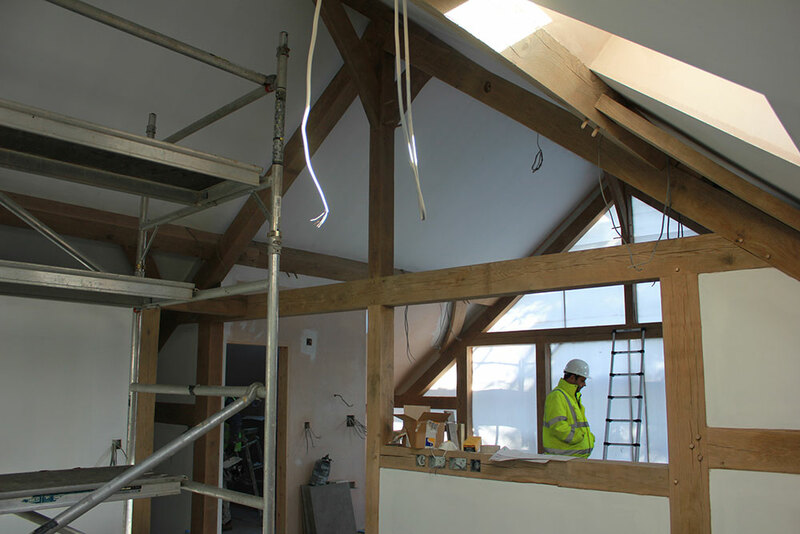 The oak framed house has been sand blasted, and block work and roofing has been installed. 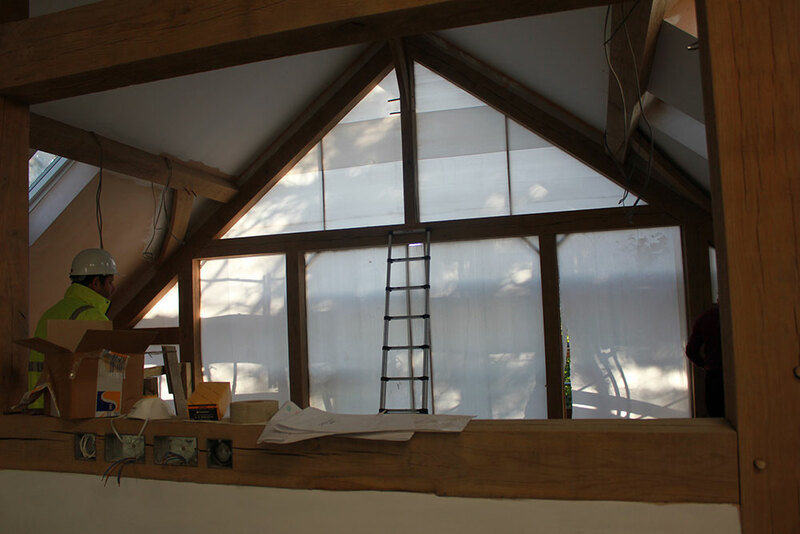 The interior has also been plastered, with the addition of a fresh coat of white paint to the walls – enabling the wooden structure to stand out. All electrics and plumbing have been installed, and the house is currently awaiting its tall bifolding doors. 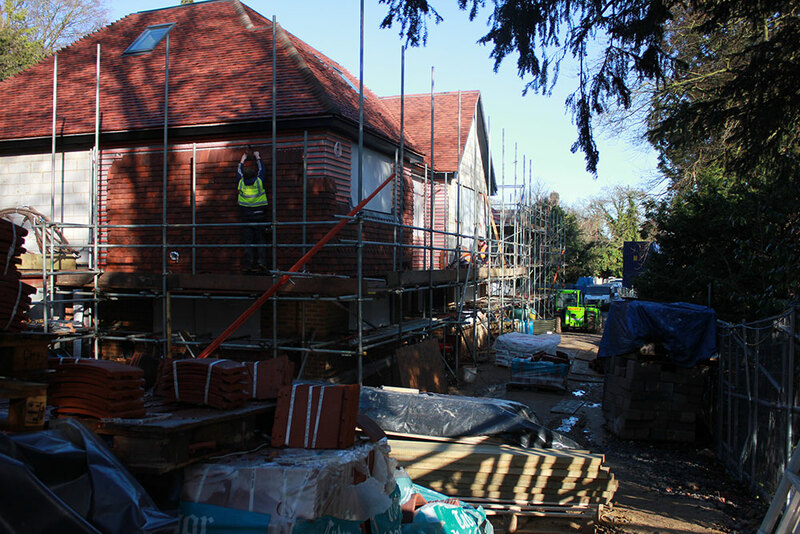 The brick work is complete on the other two houses, and electrics and plumbing have also been installed. The walls have been plastered and are awaiting painting. 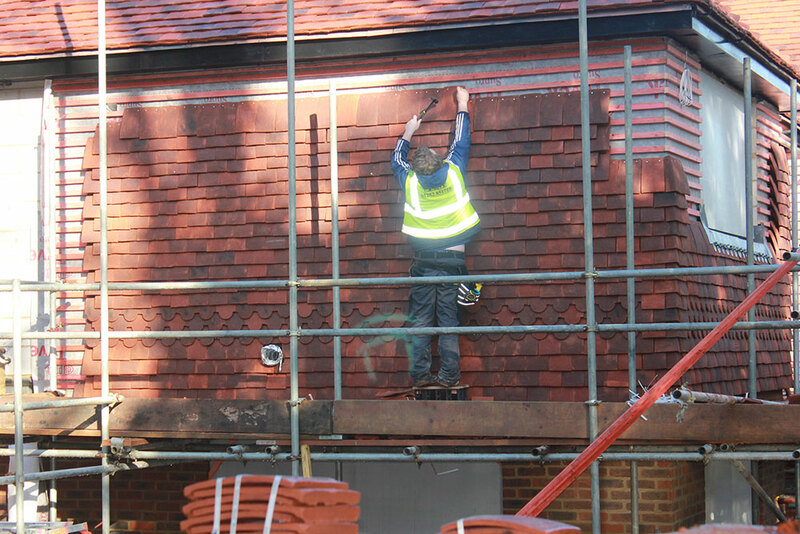 Traditional tiles are in the process of being hung on the outside of the property.